We empower our students to get involved, to speak their minds and to be themselves. 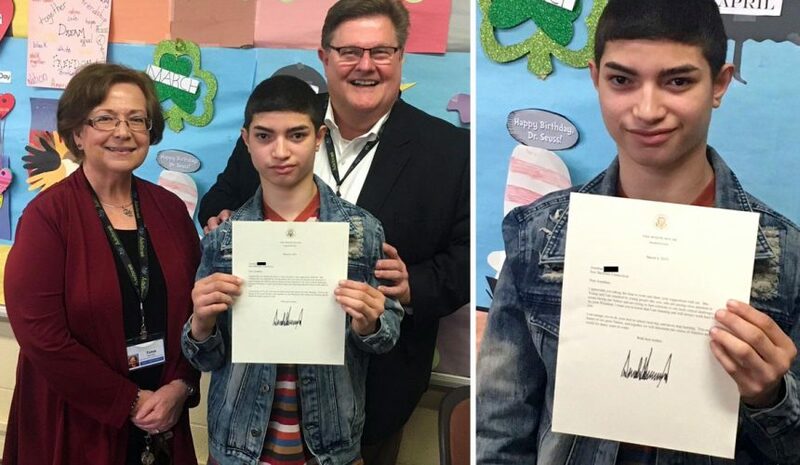 So when East Hartford Learning Center student Jonathan wanted to write the president to ask him how it is decided who gets to be on currency and wanted to suggest that Rosa Parks be considered for a bill, he was encouraged to do just that. When the staff sent the letter out, they didn’t expect to get a response. However, in mid-March a letter arrived from the White House addressed to Jonathan at the East Hartford Learning Center. No one was more surprised than Jonathan. When the staff presented him with the signed letter, Jonathan was overcome that he had gotten a response. It was more than a letter to him, it was acknowledgement of his questions and suggestions, an opportunity to be seen and heard for his ideas.